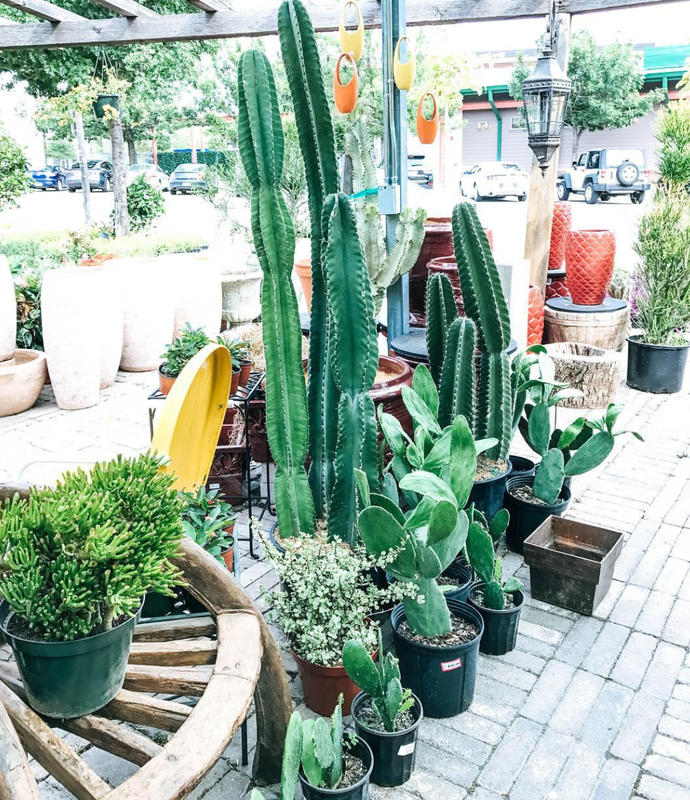 If you've never been to Texas I'm going to let you in on our BEST KEPT SECRET - IT IS HOT IN HEREEEEE! But really, it's toasty. Now, I grew up on the East Coast where the humidity makes it unbearable, and while yes, the humidity is slightly better here, the temps rise way higher under that Texas sun. 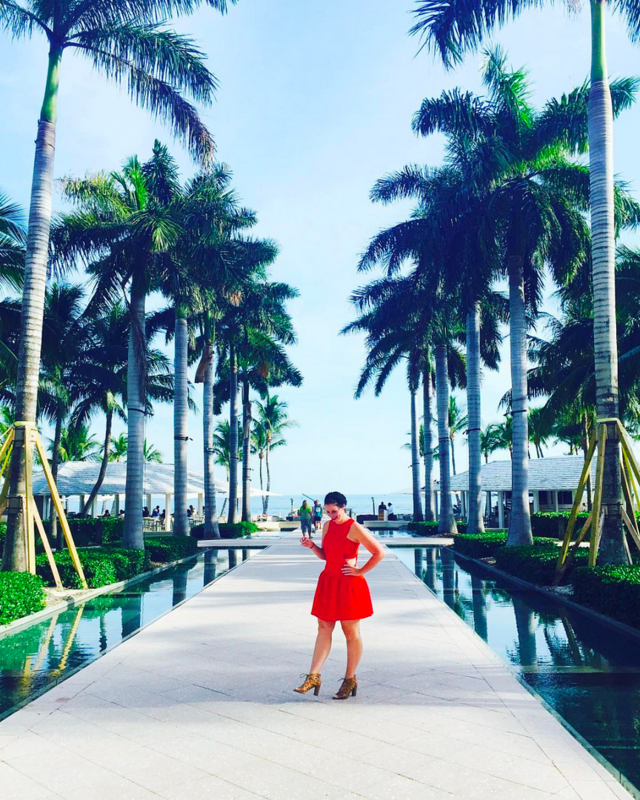 Let's face it, no matter where you are in the Summer, you're going to be hot. Some people love it, I personally hate it and seek relief wherever I can find it. 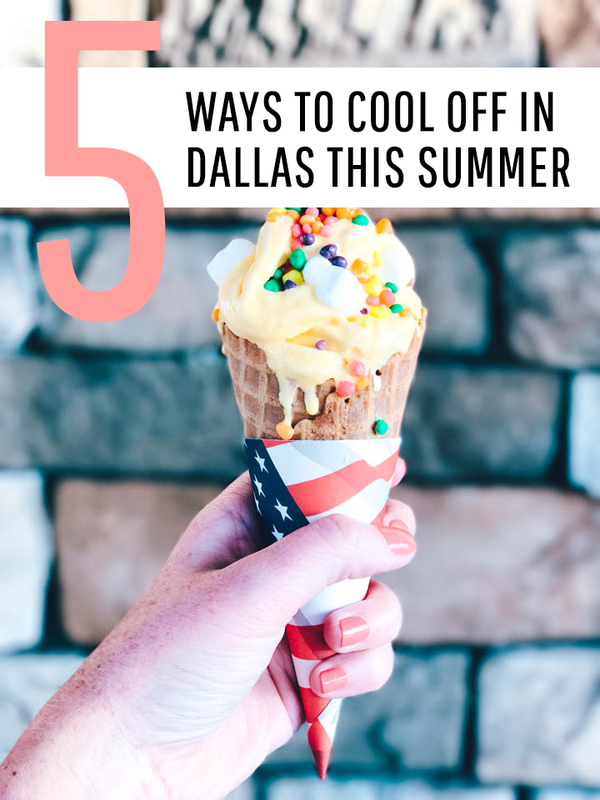 So, with that said, today I bring you my 5 favorite ways to cool off in DFW this Summer! My favorite Dallas park (located, no joke, above a major highway) not only has food trucks galore but several different spots where water shoots out of the ground. 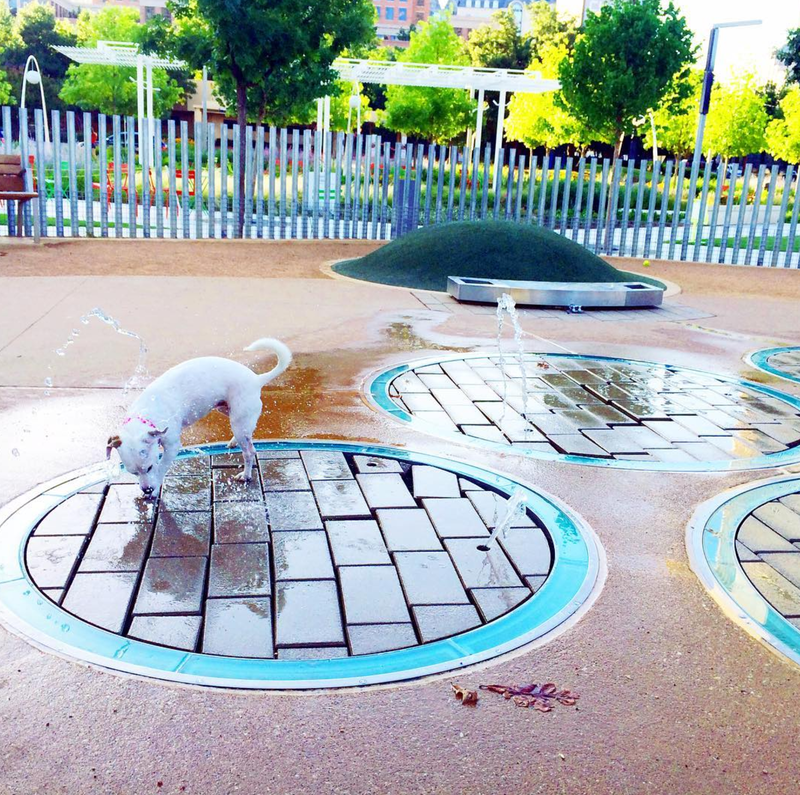 There's a dog park with water spouts (Veenie models this above), lawn games, ping pong, ice cold refreshment stands and lots of places for kids (or adults, I won't judge) to splash in the water. Veenie modeling for us again, she's a good pup. I'm a lucky duck because we have a company boat that we can take out anytime we like, as long as it isn't already reserved. 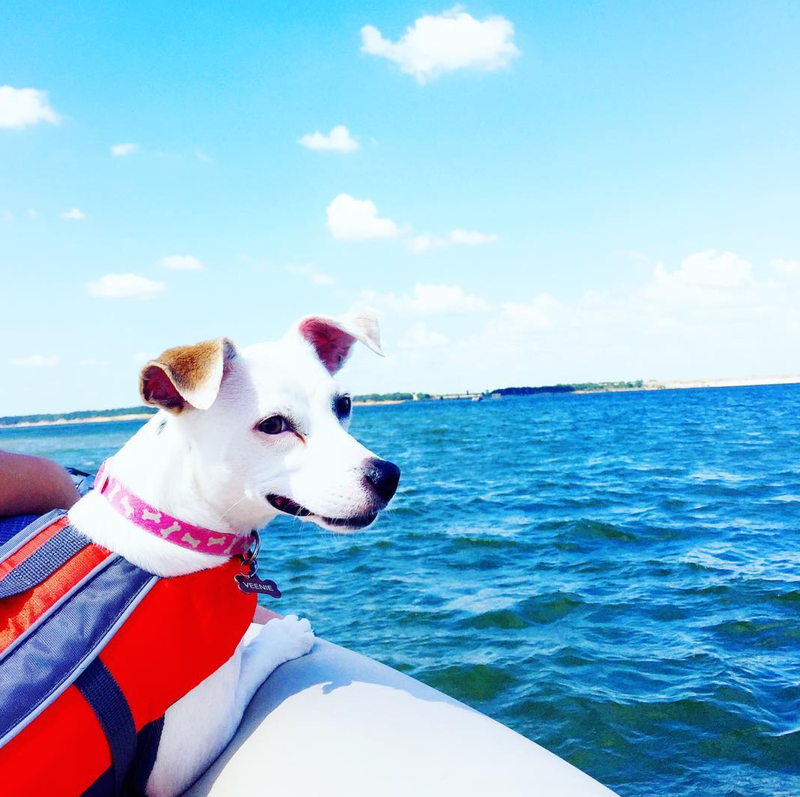 Most of the lakes in DFW (Like Grapevine and Lewisville) have marinas that offer affordable boat rentals! BEFORE YOU RENT THOUGH: call me up, and I'll pontoon on out and meet ya! 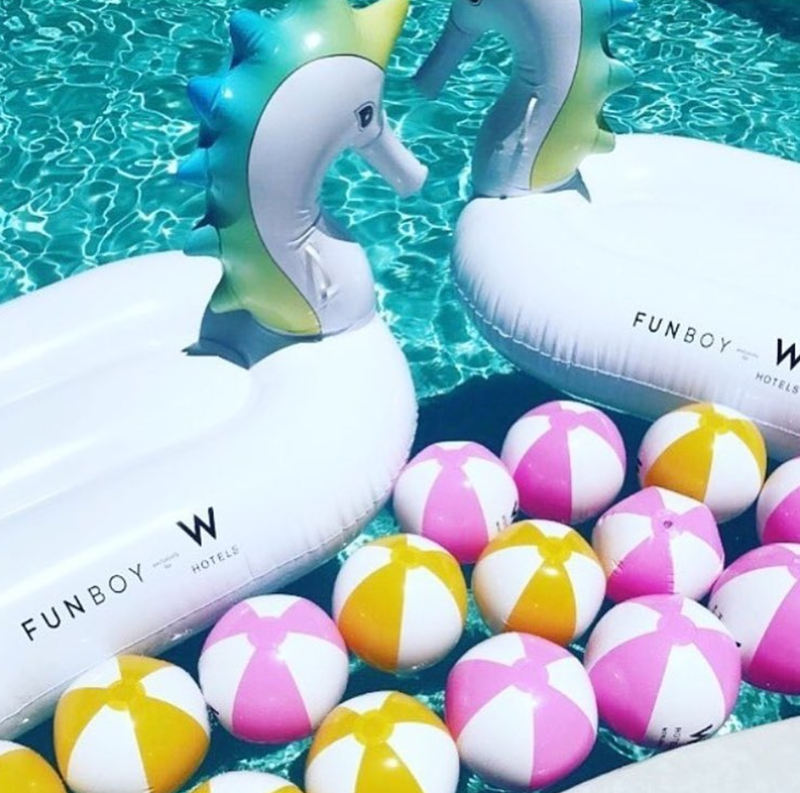 The W Hotel Wet Deck is open to the public every Sunday for their Summer Sundaze event, from 12pm-6pm for a small entrance fee! You can't beat the view, the rooftop breeze or the cold water! Plus, you can order food and drink while you're at it! Bonus: There is just as many shaded spots as there are sunny, perfect if you're like I am and unable to tan! The Farmers Market (completely remodeled) has two sections now. One section is indoors, fully air conditioned and filled to the brim with restaurants, drink stands, sweet treats and local Dallas goods. Outside, there is a second section filled with local farmers produce and various local goods. Although it is outside, it is completely covered and you're totally shaded from the sun! Plus, there's Ruibals, which is pretty much my personal version of heaven on earth! 5. ICE CREAM - DUH! 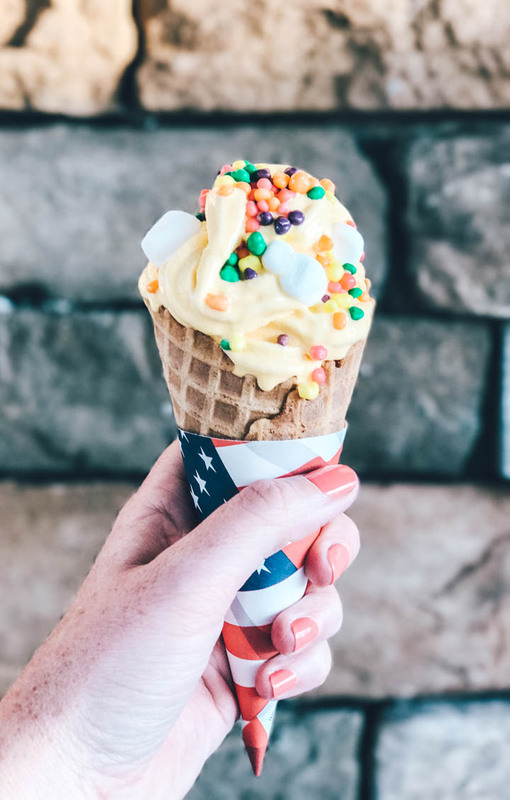 As you guys know, I've been collaborating with RaceTrac this year on several different posts, and they've got an AWESOME new promotion in their stores called Swirl World. The South (and by South I mean Texas because if there's one thing I've learned since moving here it isn't the South, it's TEXAS) loves to swirl. AKA- mix and match ice cream flavors! For the month of June and July, RaceTrac is discounting Swirl World for their customers. This means more ice cream for you, for less! 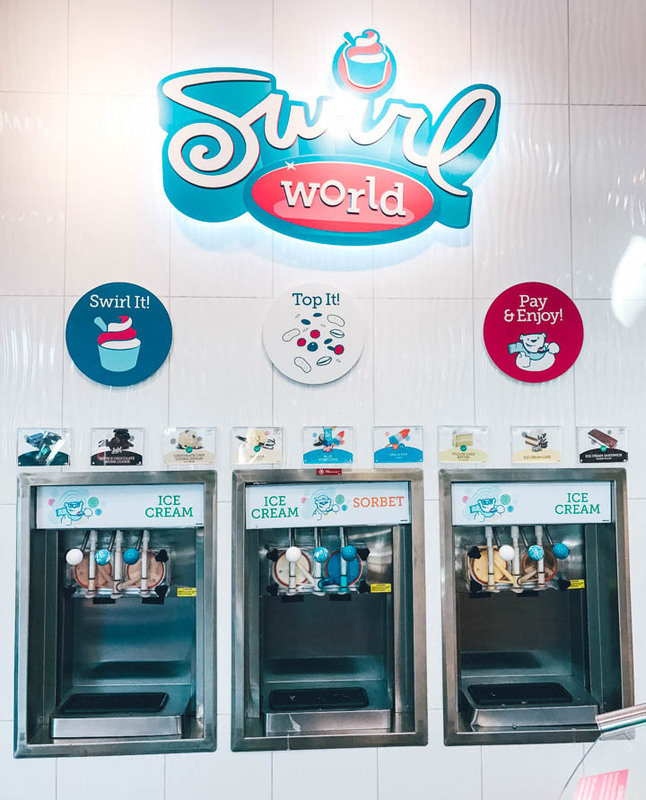 RaceTrac's Swirl World offers self-serve frozen treats including frozen yogurt, ice cream and italian ice. 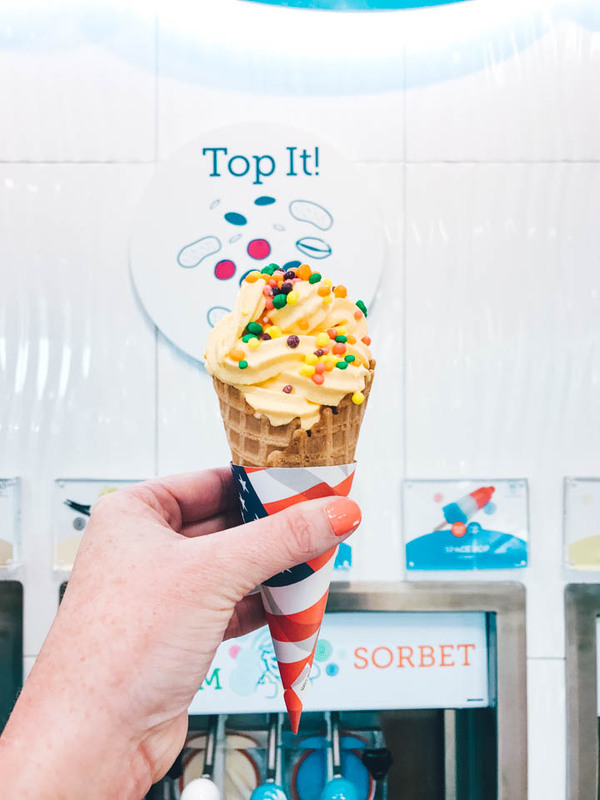 You can swirl as many together as you like, and even add a variety of toppings. I added NERDS (because, they're the best, duh) and marshmallows to my cake batter ice cream. You also have the choice of cup, sugar cone and waffle cone. Here in Texas, during the Swirl World promotion, cones are just 79 cents! CB and I had very different cones. I had cake batter, nerds and ice cream. CB - per the usual - did chocolate on chocolate on chocolate on peanut butter. I hope you'll join me tonight for an official "Summer in the South" twitter party with RaceTrac! During the party, you'll have 4 chances to win $100! Be sure to RSVP below and use the tag #HowYouSwirlWorld! To top it all off (no pun intended) I'll be giving away a $50 gift card on Instagram this afternoon!! Be on the lookout, because 50 bucks will buy you A LOT OF ICE CREAM!